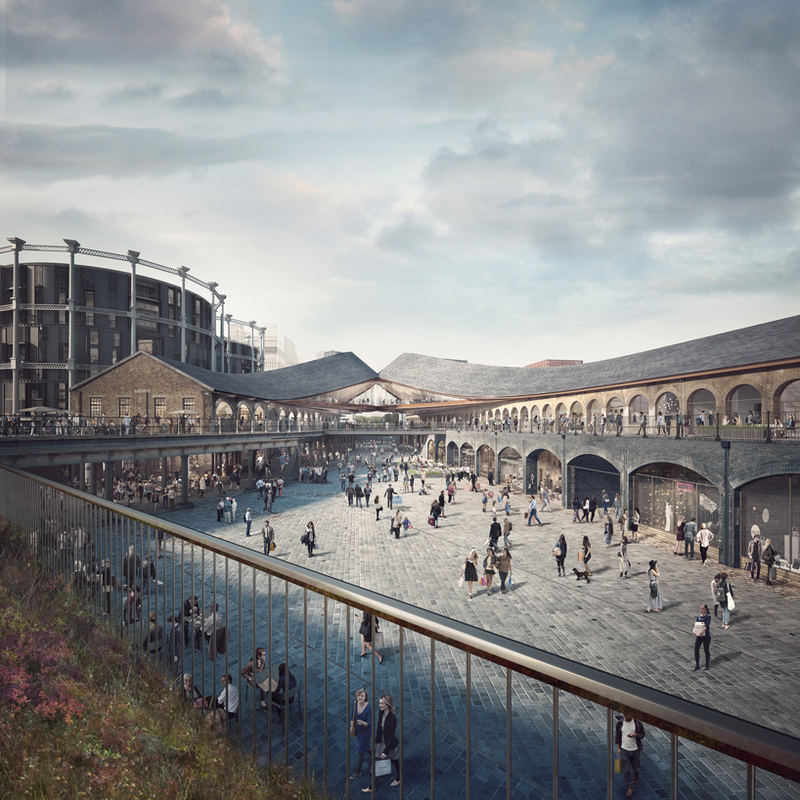 designed by heatherwick studio, ‘coal drops yard’ – a major new shopping district in king’s cross, london – is set to open on october 26th 2018. the project looks to reinvent two heritage rail buildings from the 1850s by creating 100,000 sqft of new public space, including retail and dining destinations. 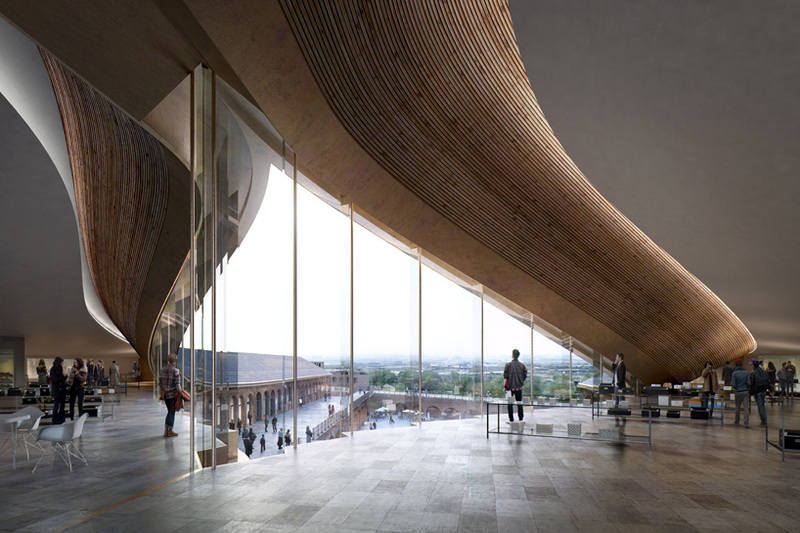 the locally-based architecture practice was commissioned to start the transformation in 2014 and, prior to the official opening, below is the first image of the interior. 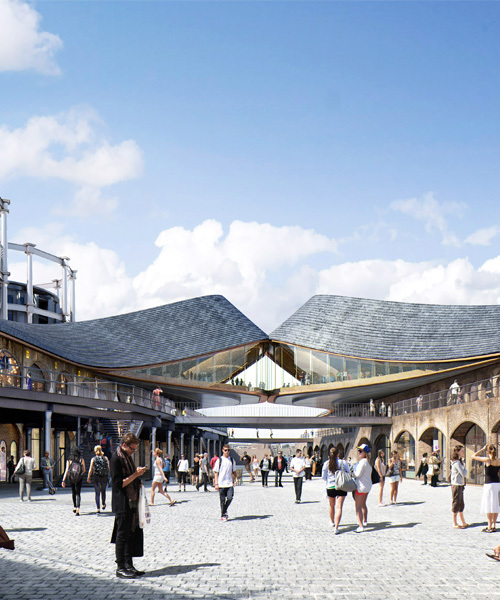 prior to becoming partially derelict, the pair of elongated victorian coal drops was built to receive coal from northern england, before being distributed around london. 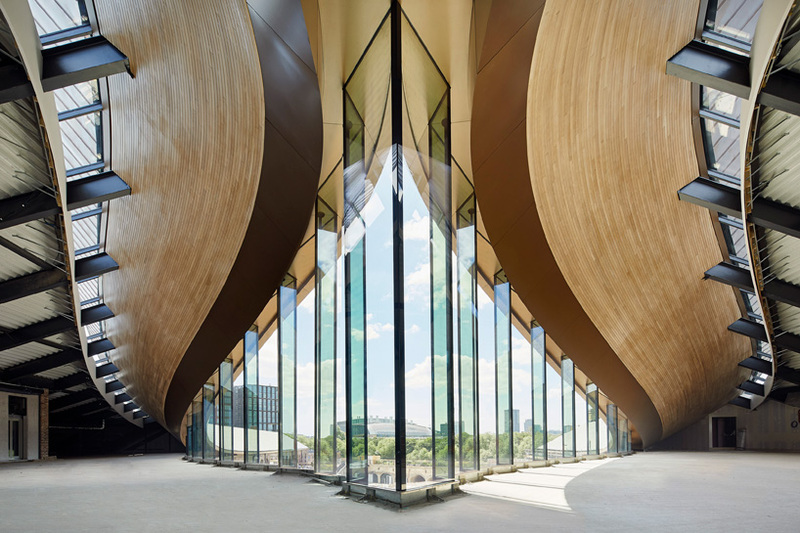 heatherwick studio’s design looks to extend the inner gabled roofs of the warehouses to link the two viaducts, create a flowing structure, and define the yard below. there is also an entirely new floating upper storey, a large covered outdoor space, and becomes a central focus for the entire site.